Welcome to Rabbie’s multi-award winning small group tours of Scotland and her islands, Ireland, England and Wales. Everything from Full Day to multi-day accommodated touring. Experience Britain and Ireland's splendour with Rabbie's personalised small group tours. An extensive tour programme from Edinburgh, Glasgow, Inverness, Aberdeen, London, Manchester & Dublin covers the Scottish Highlands and Islands, the best of northern Britain, including the Lake District and York, the heart of England and northern Wales and the hidden gems of Devon and Cornwall. You can explore further across the seas in Ireland as our tour covers the best of its magnificent west coast. Guaranteed Departures - You Book, You Go! What more can we say? You can confidently make plans around your Rabbies Tour because it won't be cancelled at the last minute due to insufficient participants. You can discover the real country, get off the beaten track and onto the back roads where other tours cannot go. Touring with no more than 16 passengers gives you more. More personal attention, more time with the locals, more time off the bus, more time on the back-roads and just more of an all-round memorable experience. You'll get in touch with the people, places, history and legends of the country, according you a unique and memorable experience to last you a lifetime. Rabbies' local guides are your hosts; each Handpicked for their pride and passion for the areas they tour and dedicated to delivering outstanding travel experiences. 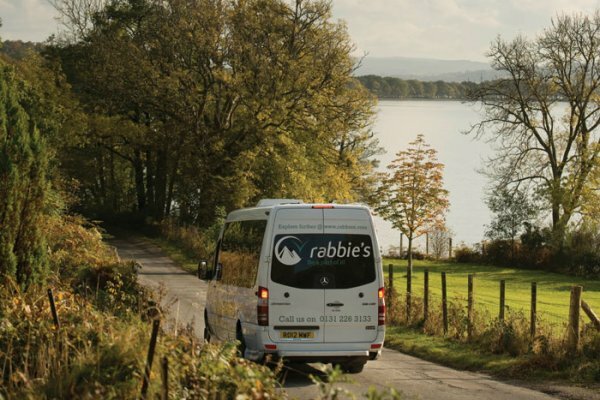 Rabbies tours offer maximum flexibility for independent travellers. Entrances are not included in the price of Rabbies Tours, so that you can spend your time as you wish at each attraction or town and not pay for attractions that don't interest you. Most Rabbies tours have a choice of either B&B with ensuite, or 3-star hotel accommodation to suit individual budgets and comfort levels. This aspect of a Rabbies' tour makes them particularly appealing to travellers who like their own time in the evenings.